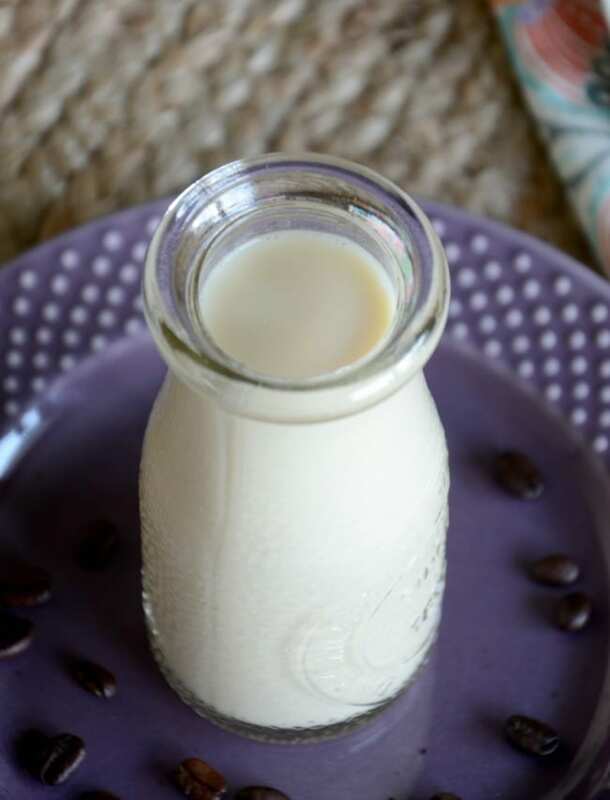 You are going to love how easy this homemade vanilla sweet cream is to make. 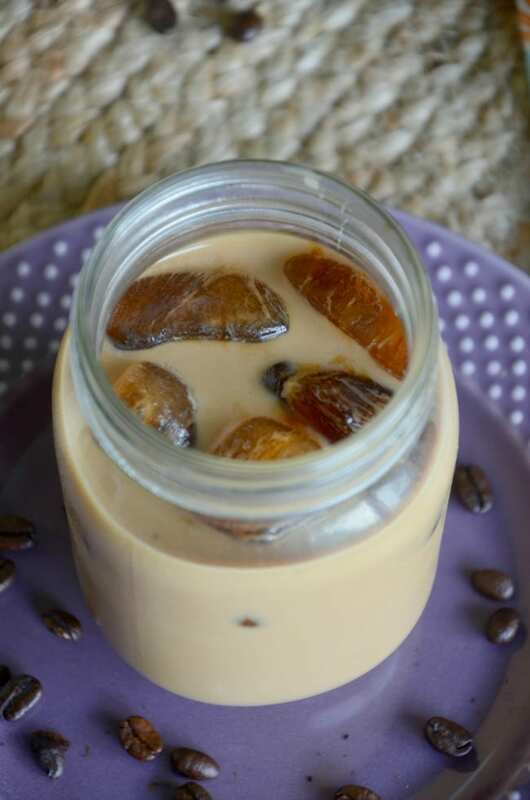 Over the years I have racked up quite a few copycat coffee drink recipes here on my site. I think it all started with my Starbucks copycat iced chai latte and grew from there. I love being able to re-create and share coffee house drinks at home. Not only do you save money but you also know all the ingredients and can whip one up anytime you’d like. Every one and awhile I ask what copycat coffee recipe to make. It gives me a good idea on what people are looking for and I get to try new recipes. It’s a win-win! This last time I had a few people request Starbucks vanilla sweet cream creamer recipe. Oh man, I am SO GLAD y’all requested this recipe! It has quickly become my go to coffee creamer. What is vanilla sweet cream? 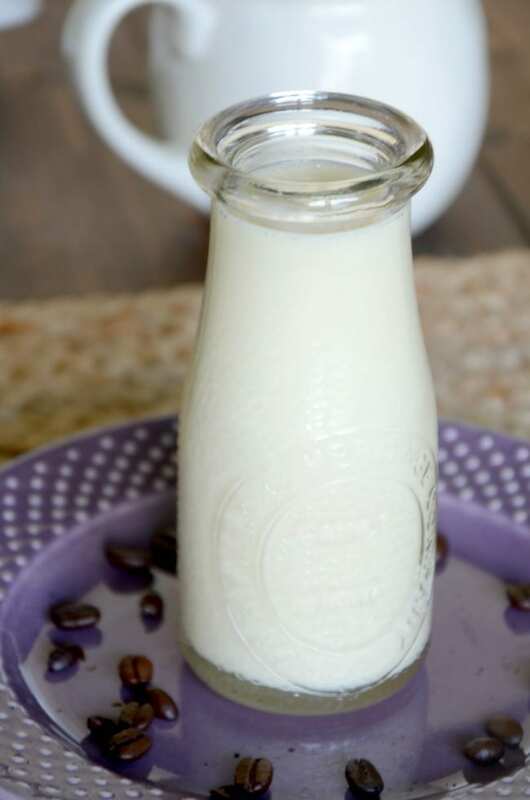 Vanilla sweet cream is a sweet coffee creamer with a touch of vanilla. 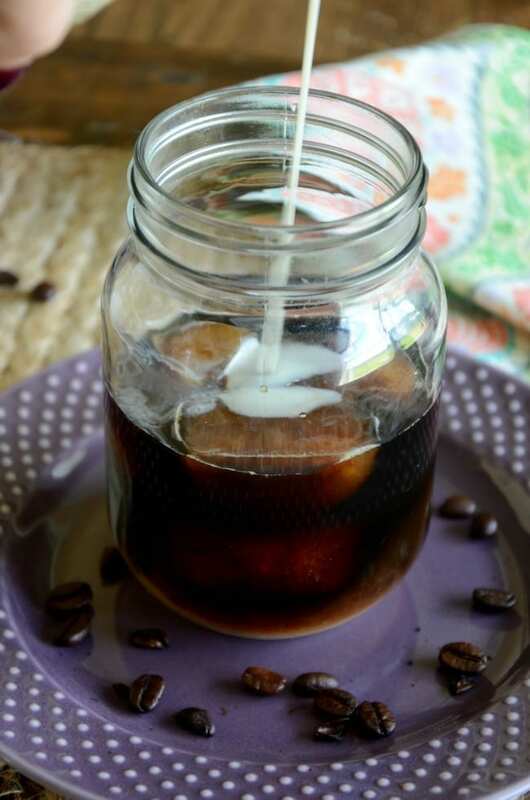 It’s super easy to make at home and is great in regular coffee or your cold brew. Once you make a batch, you can store it in the fridge and use it as needed. One batch of vanilla sweet cream normally lasts me two weeks. I’ve shared pumpkin spice coffee creamer, Mound coffee creamer and even carrot cake creamer before. And if I’m being honest, this vanilla sweet cream version tops them all. Shhhh. Sweetened condensed milk is the base of this recipe. You can find it in the baking aisle or you can try your hand at a homemade version. 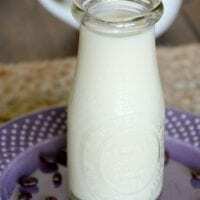 The milk is used to thin out the sweetened condensed milk, among other things. Feel free to use any milk that you prefer here. 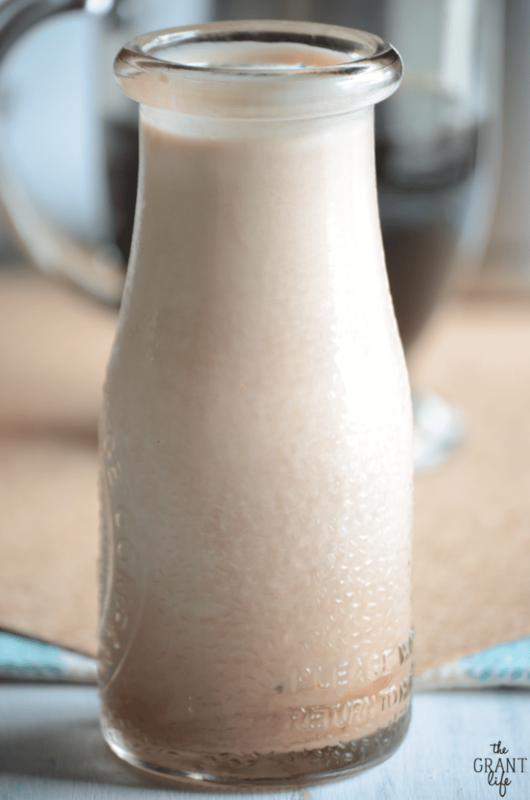 Half and half, almond milk, coconut milk or just regular 2 percent milk work great. I do not suggest using heavy cream in this recipe. Next you will need some vanilla extract. You can buy this in the baking aisle as well or again, try to make homemade vanilla extract. Finally, a pinch of salt rounds out the ingredients needed to make this vanilla sweet cream recipe. The best part about this vanilla sweet cream recipe is that it is so simple to make. Once you gather all your ingredients, all you have to do is mix them together. 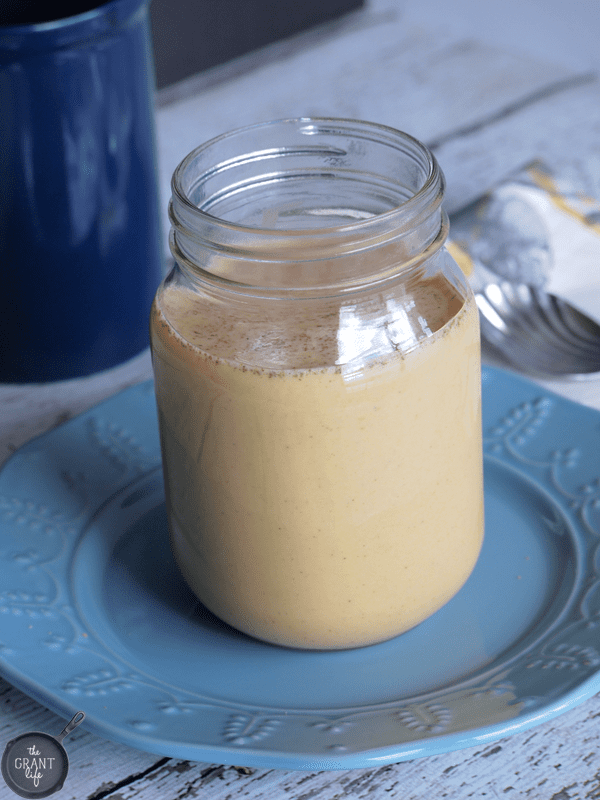 You can do this in a blender, using a hand mixer or even in a mason jar. I love using a mason jar for this recipe. I add in all the ingredients and then shake, shake, shake. It only takes a minute or two to completely combine all everything and then you have vanilla sweet cream goodness. You do not need to cook this sweet cream, simply mix everything together and store in an airtight container in the fridge. If you use a mason jar you can store it right in there. Easy peasy, vanilla sweet cream squeezy. 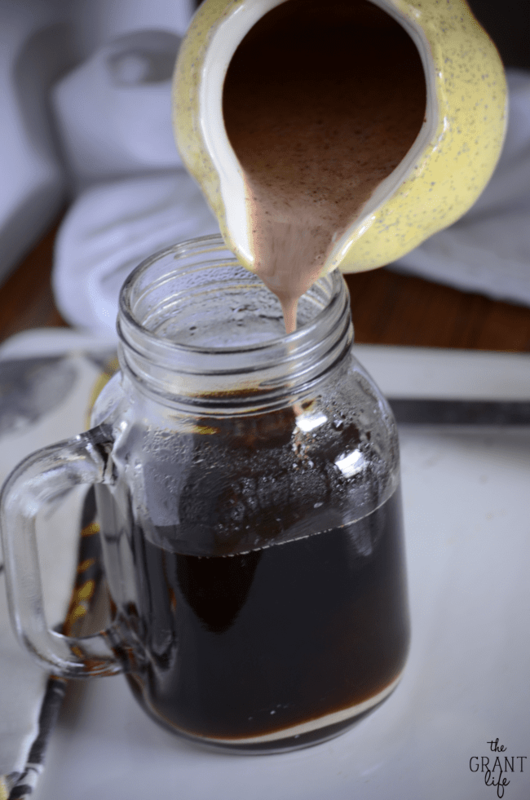 Vanilla sweet cream coffee creamer. Combine all your ingredients in a mason jar or blender. Mix until combined.